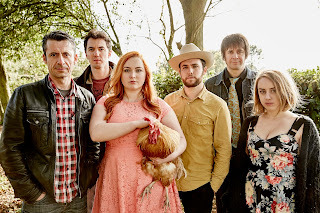 There’s no holding back East Midlands country roots band The Most Ugly Child as they power their way through a debut album of promising stature. 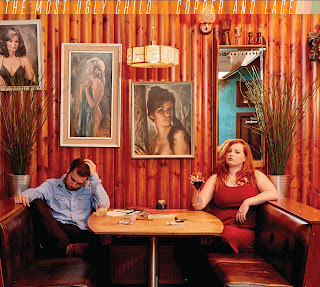 COPPER AND LACE unravels itself as twelve enterprising tracks frequently varying in tempo but rarely deviating from full-on mode. The brainchild of Daniel Wright and Stevie-Leigh Goodison, this six-piece combo have accumulated the sum of their parts to show that home grown honky tonk can flourish with the right intent. Despite the obvious temptation to call on some great traditional country tunes, the band have bravely opted to almost entirely go down the original's route with the only popular cover being a version of Townes Van Zandt’s ‘Lungs’. To the credit of Daniel and Stevie’s individual writing, it is their compositions which give the album a mighty push in the direction of demanding serious attention. Ironically it is a song written by a fellow purveyor of contemporary British honky tonk music in Daniel Meade which kicks the album off in a rousing style. 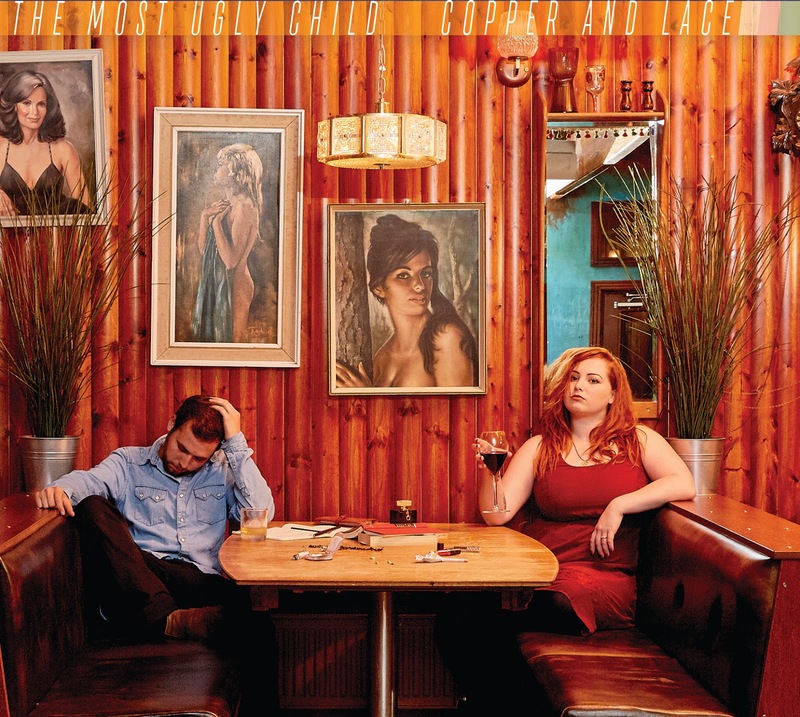 ‘What Might Have Been’ lingers around as one of the leading tracks and the duet vocal style of Daniel and Stevie are reminiscent of the songs emanating from the My Darling Clementine project. As you would expect from this type of music, fiddle, pedal steel and the general acoustic sound rules the roost and the whole team in The Most Ugly Child set up have played a part in making this an appealing album to sit back and enjoy. After a couple of up tempo numbers to get you into a foot tapping mood, the beat slides down the scale as the ballads take over. The first of these, ‘Roses’ possesses a Celtic feel to the impression it leaves, linking the musical amalgamation of the old and new world. As the album gathers momentum we hit the ubiquitous drinking, marital breakdown and general songs on the side of melancholy. ‘Long Gone Woman Blues’, ‘The Bottle & the Fall’ and ‘Just Another Lesson in Pain’ leave little to the imagination. While the pace of appreciation is maintained throughout the record’s duration, a couple of gems are kept under wraps until the final two slots, as the overall high value of the release is affirmed. ‘Queen of the Honky Tonk’ takes you on a thoughtful journey reflecting well Daniel’s writing style leaving a cracking song in its midst. By ending on a note of originality in the wonderfully sentimental ‘My Pony’, the band has crowned the proceedings with a slice of commendable song writing. Whether tackling the duets, solo vocal pieces, upbeat and slower songs, an explicit sound fires up the record and the general straightforward approach adopted is free of nuance and subtlety. COPPER AND LACE is entirely accessible and adds a vital component to the band promoting their unassuming style which without doubt would be highly energetic in a live environment. The Most Ugly Child will probably find a welcoming home in the hearts of folks susceptible to an intoxicating dose of traditional country music, with the UK’s Americana circuit being a likely destination. One certainty is those that seek out this record will be richly rewarded.